Some people are content to throw a slice of processed cheese bar "tybo cheese" in a baloney sandwich But these people do not really enjoy the cheese. The real cheese lovers are people who would eat a whole Camembert mold, without even a biscuit or a glass of wine to accompany. The only thing that prevents this from happening, it is is the fact what we would be paying for that reckless and wasteful consumption unleashed to cheese behavior. 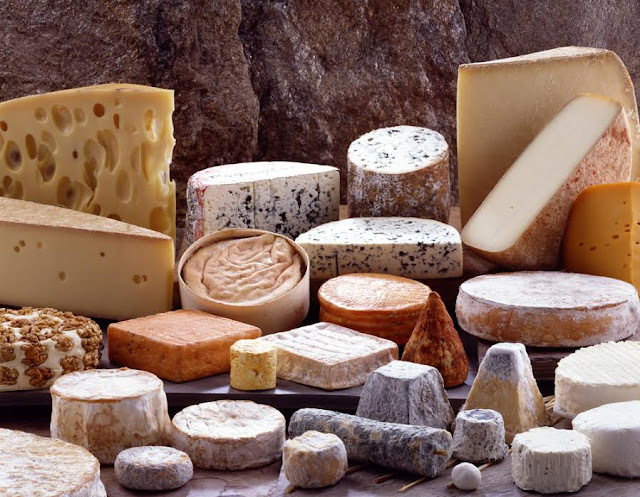 If you are a cheese lover but do not go with the idea of ​​exotic cheeses and spending too much money on some brie cheese perfectly aged without knowing if this is going to be to your liking, we leave then the list of European cheeses that more have purchased because of cost and taste. Keep in mind that these cheeses are no particular order. As we have said, you will have to find out for yourself which you like best. A surprisingly soft cow cheese, Brie is creamy, mild flavor, and throughout France, is a popular breakfast cheese. The mild flavor of edam cheese can surprise you. It tends to bring a nutty flavor and slightly salty, but with little taste or smell. Edam cheese is a soft cheese, because of its low fat content. This mild flavor lends itself to edam cheese go well with fruits. Swiss cheese is actually one of the most famous cheeses made in Switzerland, but the Emmental type is that it tends to be more popular internationally, and that is that non-experts cheeses usually referred to as "Swiss cheese" . The flavor is generally described as spicy, but not too strong. This lends itself to the cheese go well with various dishes, used on top of stews and casseroles to allow golden brown crust. It is also popular in mixtures of cheese fondues, where it is combined with Gruyere cheese. Stilton cheese can be quite difficult to obtain without spending much money. The cheese has been granted on the condition of having a "protected designation of origin" by the European Commission, which means that only produced in three regions, Derbyshire, Leicestershire and Nottinghamshire, who are allowed to produce a cheese and call it Stilton. Only eight dairy farms in the world are still allowed to do these things. The pasta tastes a bit like blue cheese. If you have the opportunity to try this stilton with cranberries and celery and pears with a bottle of port. The cheese is very popular in vegetable soups (not complement the meat as well), and has even been used for chocolate dishes. Hard yellow cheese Gruyere is surprisingly sweet at first bite, with some saltiness. The flavor varies with age, the young cheese is described as creamy and nutty flavor, and the oldest cheese described as earthy, complex and a little more powerful. The taste is strong but not overwhelming, so it is a common ingredient in dozens of recipes for toasted ham and cheese, garlic soup, or even be grated in salads and pastas. The actual camembert is made from unpasteurized milk, and many countries restrict the production and sale of such products. The really good stuff has a unique feature, because, the longer you have, the softer it becomes, until finally, has little more than a crust filled with liquid cheese. Camembert is popular in many European foods, but most Camembert lovers will tell you that the only real way to enjoy the subtle flavor is to serve it at room temperature above some bread with a bottle of wine of your choice. You may want to try a selection of white wine. Roquefort cheese is not for beginners, unless you be brave. The cheese has green veins that offer a strong flavor, the taste generally described as mild, then sweet and salty after. Its complex flavor makes it very difficult to work in any kind of sandwich or soup. Luckily, you do not need any of that to spice. Take some blue cheese with some bread and red wine of your choice, and it should provide an excellent experience itself. Do you really need to tell you about the mozzarella cheese? You know, the cheese pizza. 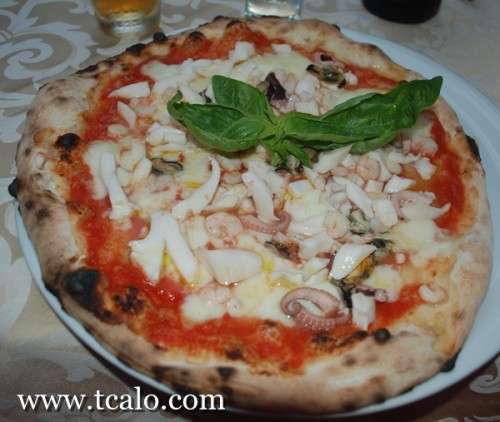 Of course, it is much more than a simple cheese pizza. It is a perceptible cheese is soft, but that hundreds of different recipes is provided. Next you can try some smoked mozzarella or stuffed. Feta offers a unique spicy salty taste, ranging from mild to strong, depending on age. It is easily cooked, so it is a great choice for grilled sandwiches, although the most important of European recipes for cheese is probably the Greek salad. If you want a light dinner, try a Greek salad with a white wine. We are all familiar with this Italian cheese, of course, so it's not just sprinkle on the Italian and European food. Sure, that's a big part of their common use. It's great in salads, soups, risotto, it is a vital ingredient in alfredo sauce and pesto, but if you really want to enjoy parmesan, take a piece of Parmesan cheese and try to soak it in balsamic vinegar. You not even need crackers or bread. Gorgonzola cheese, depending on the age, can be crisp, firm, or brittle. Or it can be mild or substantially salty taste. You can change to an extent that is difficult to generalize here and recommend this or that dish or wine, so let's say that you should look at the blue veining. The more blue, more bite. The slightest Gorgonzola is very versatile and can be used in risotto, pizza or short pasta dishes. Muenster cheese with 'eu', is actually a derivative of America. We want munster cheese, a French cheese salt that comes in various flavors. You can get white munster cheese (blanc munster), which is tasteless and tends to go well with European recipes for sandwiches and soups, or you can search a variety of cheese munster well aged and well seasoned, it will come with a little bite and it is best paired with bread and some strong red wine of your choice. Cheddar cheese may seem like a normal choice for this list, but note that the cheddar makes up 51% of the cheese market in the UK. I Fact: Did you know that the cheddar generally called "tasty cheese" in Australia and New Zealand? All Romano cheeses are made with sheep's milk or goat's milk, and its flavor is tangy. The Romano cheese can be grated on almost any meal. The Romano cheese is one of the oldest Italian cheeses, dating all the way back to his namesake of ancient Rome. A surprising sweet-tasting cheese, Gouda cheese is the best paired with lighter wines (which may be one of the few cheeses that can go very well with a flush). Sometimes it described as having a mild caramel flavor, and smoked Gouda cheese is an excellent choice for bruschetta, giving a slight crunch. A semi-soft cheese Havarti offers a uniquely soft creamy flavor and a pleasant aroma butter. Havarti cheese is difficult to use in dishes, although usually mixes well with chicken, raisins, nuts, cheese and fruits like apples and pears. The sweet taste of Havarti fits the Chardonnay or Sauvignon Blanc. A popular cheese fondue, raclette cheese comes in about a million different flavors. Cheese lends itself easily to be seasoned with pepper, herbs or white wine. It tends to go well with white wines, especially Riesling, Pinot Gris, and Savoie wine. As for European cuisine, well, actually it has a plate that bears his name: Raclette. Raclette, today, is typically served with an electric table grill, or griddle, and some small pans. Diners sit around the table, selecting their own meats and vegetables cooked on grill, and then the cheese can be melted right into the pan. Raclette is not just a meal, have a bit of a ritual associated with food and relaxing drink among close friends with a raclette meal that takes several hours. Greek Halloumi cheese is best known in Europe as part of the Cypriot cuisine. Made from a mixture of goat and sheep milk, cheese has a very high melting point, which means that you can actually grill cheese like meat, right in open flame. Traditionally, Halloumi is a salty cheese, eat watermelon in the warmer months, and with pork or lamb sausages in the colder seasons. A bryndza sheep's milk cheese gourmet of Central and Eastern Europe, although each country actually has its own special European recipes for cheese. In general, however, it is a soft cheese. The various recipes differ so much that you could spend much time exploring the different types of BRYNDZA as exploring a dozen other types of cheese. The Bryndzas freshly made cheeses tend to be a little softer when fully mature cheeses Bryndzas tend to be stronger. The flavor is generally similar to Feta. Maasdam cheese was invented as the response of a poor man who could not buy the gourmet Swiss Emmental cheese. Aging to full maturity is in just four weeks and cheese is cheaper to produce. However, Dutch cheese makers who invented the Maasdam ended up creating a new type of whole cheese. Maasdam is really smooth, nutty flavor and sweet, unlike the sometimes bitter Emmental. Appenzeller has a well documented history in European foods, which dates back some 700 years. Appenzell is a hard cheese made from cow's milk, usually flavored with herbal brine, which can contain wine or cider. Only about 75% of the dairies produce cheese today, all in the northeastern region of Switzerland (Appenzell). The flavor of the cheese tends to vary greatly depending on the recipe of the dairy, which is usually a trade secret, although it is fruity or nutty, and mild to spicy. Fue inaugurado el pasado viernes 07 de septiembre en Langhirano la XV Edición del Festival del Prosciutto di Parma, una gran fiesta que se extenderá hasta 16 de septiembre, para conocer y degustar el mejor jamón de Parma y el aprecio por la belleza turística y cultural de su lugar de origen. 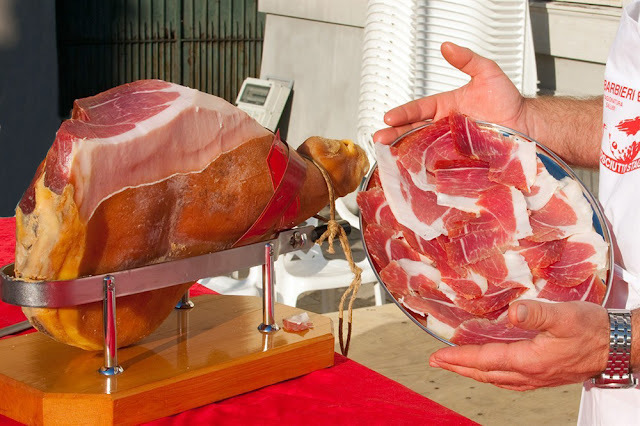 El Festival del Prosciutto di Parma anima durante más de una semana también a los municipios de la zona de producción del Rey de los jamones. Los trece municipios participan de un calendario lleno de eventos dedicados a la comida, el entretenimiento y la cultura: degustaciones, excursiones, visitas guiadas, conferencias, talleres, espectáculos, actividades para niños, eventos deportivos y mucho más. Uno de los eventos centrales del Festival es, como siempre, la finestre aperte: sigue siendo el momento más emocionante de la fiesta gracias a su poder de atracción sobre los visitantes, ya sean expertos o aficionados. Todas las fábricas de jamón de la zona de producción serán abiertas al público para dar a los visitantes la oportunidad de ver el proceso de producción y participar en degustaciones gratuitas. Los productores explicarán los secretos de la producción de los perniles de cerdo, que por una mágica combinación de clima, tradición y pasión, se convierten en Jamones de Parma. Un servicio de autobús estará disponible para que los turistas puedan disfrutar de los eventos que forman parte del Festival, donde serán los mismos productores quiénes ilustren el “secreto” del jamón. No se pierda la visita al Museo del Jamón y Salami de Parma, el antiguo Foro Boario Langhirano, así como de disfrutar el sabor del jamón de Parma, en combinación con los mejores vinos. Desde la mañana hasta altas horas de la noche, la dulce “Parma” será motivo de una especie de peregrinación del gusto. Una oportunidad ideal para visitar la hermosa ciudad y su territorio magnífico. Finalmente, durante todo el período del festival, habrá menús especiales en los restaurantes y en las Fincas. El Festival del Prosciutto di Parma, ahora en su décimo quinta edición, está coordinado este año por Fiere di Parma y confirma una importante demostración internacional de los productos italianos de alta calidad, que implicó la participación de 160 empresas, 5.000 granjas de cerdos y 3.000 personas y un volumen de negocios total de 1,5 millones de euros. Algunas personas se contentan con lanzar una rebanada de queso en barra procesado “queso tybo” en un sándwich de mortadela Pero esta gente en realidad no disfrutan del queso. Los verdaderos amantes del queso son las personas que comerían toda una horma de queso camembert, sin ni siquiera una galleta o un vaso de vino para acompañar. La única cosa que impide hacerlo, es es el hecho de lo que estaríamos pagando por ese comportamiento imprudente y desatado hacia el consumo desmedido de quesos. Si eres un amante del queso pero no vas con la idea de quesos exóticos y gastar demasiado dinero en un poco de queso brie envejecido perfectamente sin saber si este va a ser de su agrado, dejamos a continuación la lista de quesos europeos que más se han comprado debido a su costo y sabor. Tener en cuenta que éstos quesos están sin ningún orden en particular. Como hemos dicho, tendrá que averiguar por ti mismo el que más te guste. Un queso de vaca sorprendentemente suave, el queso Brie es cremoso, de sabor suave, y en toda Francia, es un queso de desayuno popular. El suave sabor de queso edam te puede sorprender. Tiende a llevar un sabor a nuez o salado ligero, pero con poco sabor y poco olor. El queso edam es también un queso muy suave, debido a su bajo contenido de grasa. Este sabor suave se presta a que el queso edam vaya muy bien con las frutas. El queso suizo es en realidad uno de los más famosos quesos elaborados en Suiza, pero el tipo emmental es el que tiende a ser más popular a nivel internacional, y que es la que los no expertos en quesos normalmente se refieren como “queso suizo”. El sabor es generalmente descrito como picante, pero no demasiado fuerte. Esto se presta a que el queso vaya bien a diversos platos, utilizado en la parte superior de gratinados y guisos para permitir una corteza de color marrón dorado. También es popular en las mezclas de quesos fondues, donde se combina con queso Gruyere. El queso Stilton puede ser bastante difícil de obtener sin gastar mucho dinero. El queso se haya concedido en la condición de tener una “denominación de origen protegida” por la Comisión Europea, lo que significa que sólo se elabora en tres regiones, Derbyshire, Leicestershire y Nottinghamshire, que se les permite producir un queso y llamarlo Stilton. Sólo ocho lecherías en el mundo están aún autorizados para hacer estas cosas. La pasta tiene un sabor un poco como el queso azul. Si tienes la oportunidad prueba este queso stilton con arándanos y apio o peras con una botella de oporto. El queso es muy popular en sopas de verduras (no complementa la carne tan bien), e incluso se ha utilizado para los platos de chocolate. El queso Gruyere amarillo duro es sorprendentemente dulce en primer bocado, con un poco de sabor salado. El sabor varía con la edad, el queso joven es descrito como cremoso y de sabor a nuez, y el queso más antiguo descrito como terroso, complejo, y un poco más potente. El sabor es fuerte, pero no abrumador, por lo que es un ingrediente común en docenas de recetas de tostado de jamón y queso, sopa de ajo, o incluso ser rallado en ensaladas y pastas. El queso Camembert real está hecho con leche sin pasteurizar, y muchos países restringen la producción y venta de dichos productos. El bueno de verdad tiene una característica única, ya que, cuanto más tiempo tiene, más suave se vuelve, hasta que, finalmente, tiene poco más que una corteza rellena de queso líquido. Camembert es popular en muchos alimentos europeos, pero la mayoría de los amantes de Camembert le dirá que la única forma real de disfrutar del sabor sutil es servirlo a temperatura ambiente por encima de un poco de pan con una botella de vino de su elección. Es posible que desee probar con una selección de vino blanco. Queso Roquefort no es para principiantes, a menos que sea valiente. El queso presenta venas verdes que ofrecen un fuerte sabor, con el sabor en general que se describe como leve, a continuación, dulce y después salado. Su sabor complejo hace que sea muy difícil de trabajar en cualquier tipo de bocadillo o sopa. Por suerte, no necesita nada de eso para condimentarlo. Tome un poco de queso roquefort con algo de pan y vino tinto de su elección, y ésta le proporcionará una experiencia excelente sí solo. ¿Realmente necesitamos informarle sobre el queso mozzarella? Ya sabes, el queso de la pizza. Por supuesto, es mucho más que una simple pizza de queso. Es un queso es suave, pero perceptible, que se presta a cientos de diferentes recetas. La próxima puedes probar alguna mozzarella ahumada o rellena. El queso Feta ofrece un sabor salado picante único, que van de leve a fuerte, dependiendo de la edad. Es fácilmente cocinado, por lo que es una gran opción para los sándwiches a la parrilla, aunque la más importante de las recetas europeas para el queso es probablemente la ensalada griega. Si quieres una cena ligera, pruebe una ensalada griega con un vino blanco. Todos estamos familiarizados con este queso italiano, por supuesto, así que no es sólo para espolvorear sobre la comida italiana y europea. Claro, eso es una gran parte de su uso común. Es muy bueno en las ensaladas, sopas, risotto, es un ingrediente vital en salsa alfredo y pesto, pero si realmente quieres disfrutar de queso parmesano, tome un pedazo de queso parmesano y trate de sumergirlo en vinagre balsámico. Ni siquiera necesita galletas o pan. Los quesos Gorgonzola, dependiendo de la edad, pueden ser crujiente, firmes, o quebradizos. O bien puede ser de sabor leve o considerablemente salado. Puede variar hasta tal punto que es difícil generalizar aquí y recomendar tal o cual plato o vino, así que vamos a decir que debes mirar el veteado azul. Cuanto más azul, más bocado. El Gorgonzola más leve es muy versátil y se puede usar en risotto, pizza o platos de pasta corta. Queso Muenster, con ‘ue’, es en realidad un derivado de América. Lo que queremos es queso munster, un queso francés salado que viene en varios sabores. Se puede obtener, queso munster blanco (blanc munster), que es insípido y tiende a ir bien con recetas europeas para sándwiches y sopas, o puede buscar una variedad del queso munster bien envejecido y bien condimentado, que vendrá con un poco de un bocado, y es mejor emparejado con pan y un poco de vino tinto fuerte de su elección. Queso Cheddar puede parecer una elección normal para esta lista, pero tenga en cuenta que el cheddar conforma el 51% del mercado de queso en el Reino Unido. Dato curioso: ¿Sabías que el cheddar generalmente se llama “queso sabroso” en Australia y Nueva Zelanda? Todos los quesos Romano se hacen con leche de oveja o de cabra, y su sabor es fuerte y picante. El queso Romano puede ser rallado sobre casi cualquier comida. El queso Romano es uno de los quesos italianos más antiguos, que data todo el camino de regreso a su homónimo de la antigua Roma. Un queso sorprendente de sabor dulce, el queso Gouda es mejor emparejado con vinos más ligeros (que puede ser uno de los pocos quesos que pueden ir muy bien con un rubor). A veces se describe como teniendo un sabor suave a caramelo, y el queso Gouda ahumado es una excelente opción para bruschetta, dando un ligero crujido. Un queso semi-blando Havarti ofrece un sabor cremoso singularmente suave y un aroma a manteca agradable. El queso Havarti es difícil de usar en platos, a pesar de que normalmente se mezcla bien con el pollo, pasas, nueces, queso y frutas como las manzanas y las peras. El dulce sabor del Havarti encaja con el Chardonnay o Sauvignon Blanc. Un queso de fondue popular, queso Raclette viene en alrededor de un millón de sabores diferentes. El queso se presta fácilmente a ser condimentado con pimienta, hierbas, o vino blanco. Se tiende a ir bien con vinos blancos, particularmente Riesling, Pinot Gris, y el vino Savoie. En cuanto a la cocina europea, bueno, en realidad tiene un plato que lleva su nombre: Raclette. Raclette, hoy en día, se sirve típicamente con una parrilla de mesa eléctrica, o una plancha, y algunas pequeñas sartenes. Los comensales se sientan alrededor de la mesa, seleccionando sus propias carnes y verduras, cocidas en parrilla, y luego el queso pueden ser fundido a la derecha en la sartén. Raclette no es sólo una comida, tiene un poco de un ritual, asociado con la comida y la bebida relajada entre amigos cercanos, con una comida Raclette que lleva varias horas. El queso griego Halloumi es el más conocido en Europa como parte de la cocina chipriota. Hecho de una mezcla de leche de cabra y oveja, el queso tiene un punto de fusión muy alto, lo que significa que en realidad se puede asar el queso al igual que la carne, a la derecha en la llama abierta. 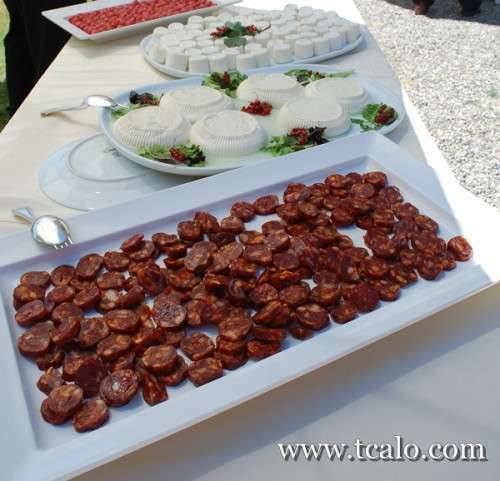 Tradicionalmente, Halloumi, es un queso salado, se come con sandía en los meses más cálidos, y con carne de cerdo o embutidos de cordero en las estaciones más frías. Un queso bryndza de leche de oveja es gourmet de Europa Central y Oriental, aunque cada país tiene en realidad sus propias recetas europeas especiales para el queso. En general, sin embargo, es un queso de pasta blanda. Las diversas recetas difieren hasta tal punto que se podía pasar tanto tiempo a explorar los diferentes tipos de BRYNDZA como explorar una docena de otros tipos de queso. Los quesos Bryndzas recién elaborados tienden a ser un poco más suaves, cuando los quesos Bryndzas completamente maduros tienden a ser más fuertes. El sabor es generalmente similar a Feta. Queso Maasdam fue inventado como la respuesta de un hombre pobre que no podía compra el queso gourmet suizo Emmental. El envejecimiento a la plena madurez es en sólo cuatro semanas y el queso es más barato de producir. Sin embargo, los fabricantes de queso holandés que inventaron el Maasdam terminaron creando un nuevo tipo de queso entero. Maasdam es realmente suave, de sabor a nuez y dulce, a diferencia del a veces amargo Emmental. Appenzeller tiene una historia bien documentada en los alimentos europeos, que se remonta a unos 700 años. Appenzell es un queso duro de leche de vaca, por lo general aromatizado con una salmuera a base de hierbas, que puede contener el vino o la sidra. Sólo alrededor del 75% de las lecherías producen el queso hoy, todos en la región del noreste de Suiza (Appenzell). El sabor del queso tiende a variar mucho dependiendo de la receta de la lechería, que suele ser un secreto comercial, aunque es con sabor a fruta o nuez, y que van desde leves a picante. Si deseas saber más sobre donde comer Pizzas en Italia, no dejes de leer nuestro articulo:¿Qué tipos de Pizzerias encontrarás en Italia?. Simplemente son spaghettis con salsa de tomate y carne molida y es, al igual que la pizza, uno de los platos iconos de Italia conocidos y cocinados en todo el mundo. Aunque ya lo hayas comido, o ya lo sepas cocinar, aconsejo igualmente que pruebes un plato de pasta alla Boloñese hecho por un Italiano, y sobretodo con productos italianos: La diferencia de sabor se siente, os sorprenderá la simplicidad y ligereza de la salsa, y os preguntaréis como así puede ser tan llena de sabor. La Región donde mejor preparan este plato es Reggio Emilia, especificamente en Boloña (por eso su nombre) pero si visitáis cualquier otro lugar de Italia encontraréis igualmente este plato en el menú. Para saber más sobre Boloña, pueden visitar nuestro post: Cosas que hacer y que ver en Boloña. 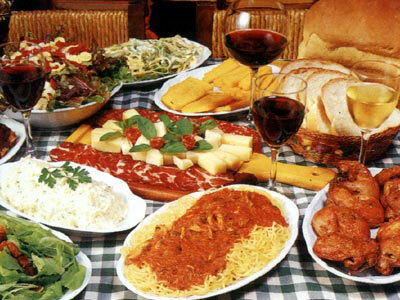 Los Embutidos y quesos italianos son tantos y variados que podrás pasar años en Italia y aún no los has probado todos, así como también es difícil seleccionar los mejores pues TODOS son exquisitos! Los Cannoli Sicilianos (en español sería los “Tubitos sicilianos”) son una de las especialidades más conocidas de la pastelería siciliana. Se trata de un tubo de pasta dura, parecida al hojaldre pero más resistente y crocante, rellena de una crema dulce realizada principalmente con requesón. Es tan delicioso y famoso que los preparan en casi cualquier pastelería de Italia, sin embargo dicen que “como los hacen en Sicilia, no los hacen en ninguna otra parte…” Sea donde sea, no dejen de probarlo! es realmente delicioso! 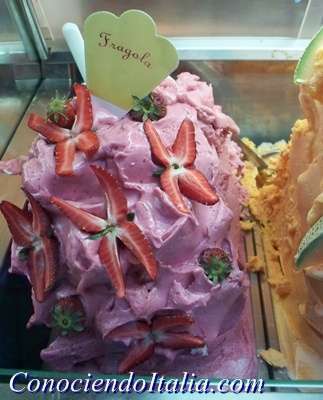 El dulce Italiano por excelencia, conocido en todo el mundo por ser tan exquisito. Se trata de una torta realizada con unas galletas llamadas “Savoiardi” (conocidas en Venezuela como “Lenguas de gato”), café, cacao en polvo y Mascarpone (un queso muy parecido al requesón). 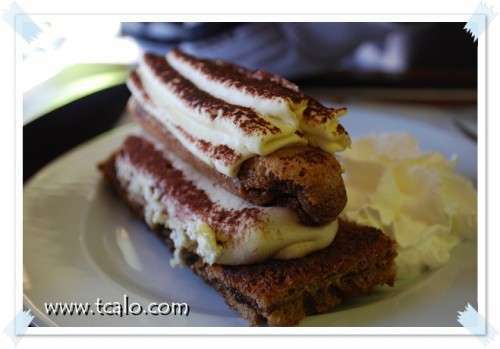 El Tiramisú nació en Venecia hace siglos atrás, pero hoy en día es una torta que se realiza en toda Italia. El Café, preparado al modo Italiano, no lo encontráis en ningún otro lugar del mundo. Debo admitir que el sabor de un típico Café Italiano suele ser disgustoso a muchas personas pues es muy fuerte y espeso, pero es interesante beber una tacita de este café. Como alternativa, tomad una taza de Cappuccino! realmente delicioso! 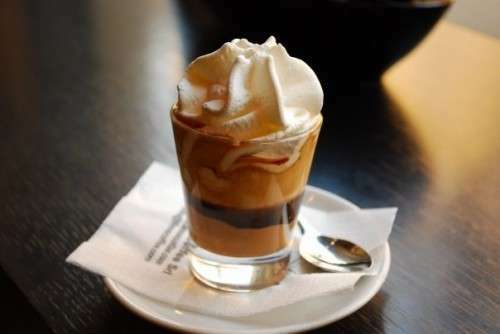 Aconsejo que toméis el café en una “Torrefazione”. Es una especialidad típica de la cocina de la Liguria –Genova-. Se trata de un pan plano, suave y esponjoso, alto apróximadamente 2cm, aderezado con aceite de oliva y sal marino. Es sencillo pero muy sabroso, recomiendo comerla calientita en la mañana como desayuno (aunque ésto es una herejía para muchos italianos, que principalmente desayunan dulce), o sino como aperitivo en la tarde, acompañado por una copa de vino blanco. 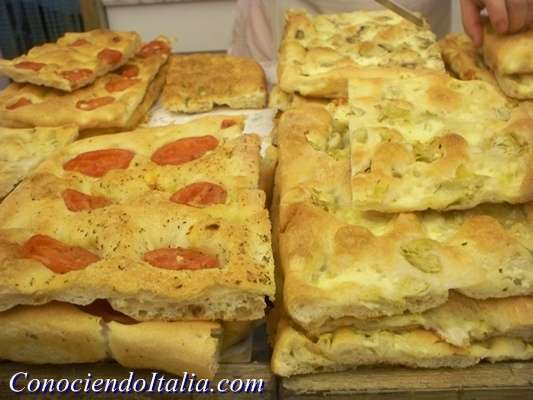 La Focaccia Genovesa, obviamente la encontraréis en cualquier lugar en Genova, pero también en la mayoría de las panaderías (“Panificio” en italiano) en Italia la realizan. Hay también Focaccia Genovesa con tomate, aceitunas, alcachofas o con cebollas, pero les recomiendo que prueben la original: solo aceite de oliva y sal. 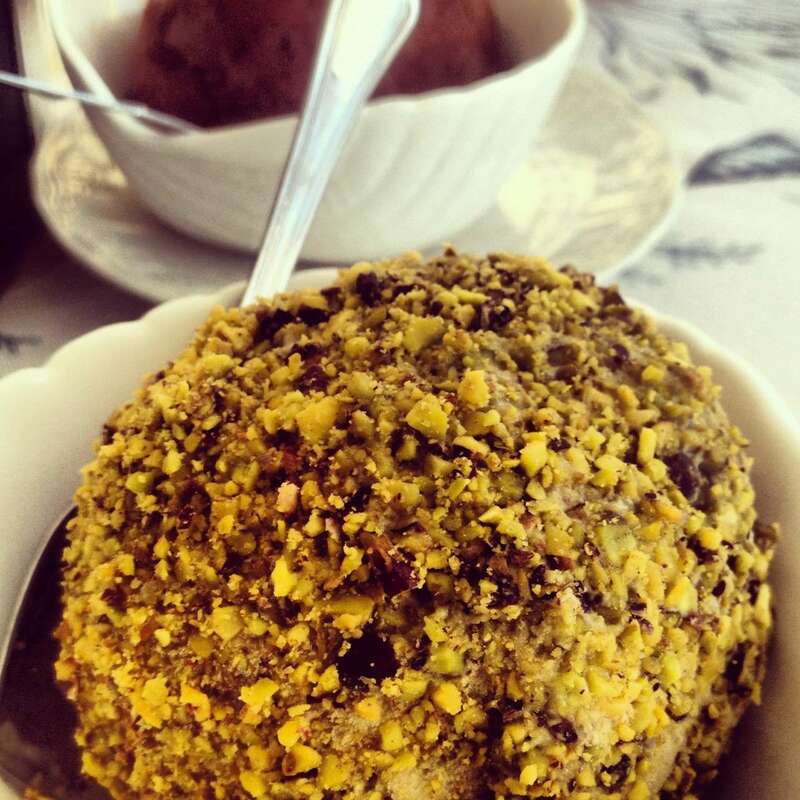 Una variante muy interesante y sabrosa, la pueden degustar en la ciudad de Pizzo con el famoso Tartufo de Pizzo. Si deseas saber más sobre el helado artesanal, no dejes de leer nuestro articulo “ Heladería Grom, il gelato come una volta“. Se trata de un corte de carne vacuna, gruesa un dedo, o dedo y medio, que contiene el hueso, y se cocina al sangre a las brasas. Es uno de los platos más conocidos de la región Toscana (por eso su nombre “Fiorentina”, de Firenze, Florencia). Lo ideal es comerla en la misma Toscana, pues dicen que la Verdadera Fiorentina, es preparada con ganado vacuno de esa región, y la diferencia de sabor se siente. Lamentablemente es un plato caro (apróx. 4 euros por cada 100 gramos!) pero realmente deliciosa! Comer una mozzarella de bufala puede llegar a ser una experiencia mística, Es por eso que se ha ganado el titulo de “Reina de la cocina mediterranea”, de “Oro blanco” y “Perla de la mesa”. 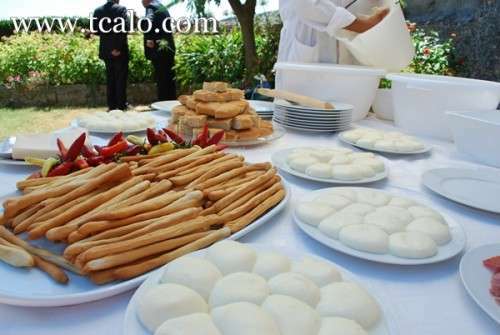 La Mozzarella di Bufala, viene elaborada principalmente en la región Campania (Nápoles, Caserta, Salerno), aunque también lo realizan en las regiones aledañas como en Lazio (Roma) o en Apulia. Podéis también encontrarlo en el resto de Italia en cualquier supermercado, pero obviamente la calidad y sabor no es el mismo; recomiendo por consiguiente comerlo bien fresco en las regiones de origen, preferiblemente apenas realizado. Es difícil describir el sabor de una mozzarella de bufala, pues para describirlo, tendría que contarles tambien lo que se siente mientras se come una: el liquido que se desprende de la mozzarella mientras se muerde, su superficie que se mantiene elastica, su sabor dulce/salado… en fín, es algo que debéis probar por ustedes mismos; Lo disfrutarán tanto que os recordaréis de ese sabor por el resto de vuestras vidas. ¿Se os abrió el apetito? Pues dejad la dieta, venid a Italia con esta lista en mano, y disfrutad sin remordimientos de la auténtica comida Italiana! Fue entre los siglos VIII y XIX que hizo acto de aparición esta bebida destilada, cuyo origen siempre se ha disputado entre Polonia yRusia. 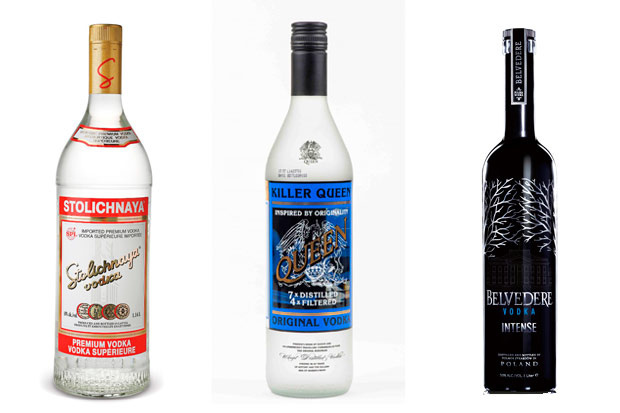 Cabe destacar que fue hasta el siglo XIV que un emisario británico enviado a Moscú comenzó a hablar del vodka como la bebida nacional de Rusia. 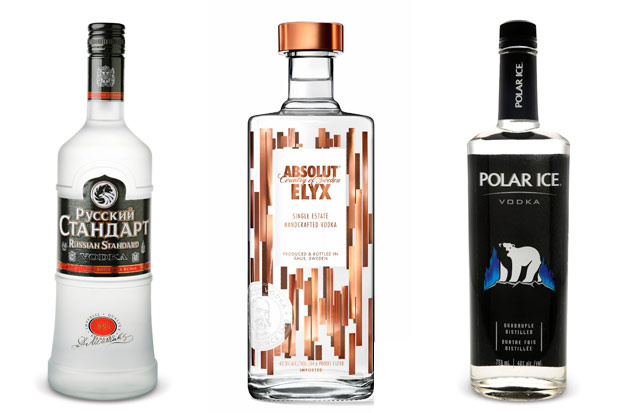 Pero más allá de orígenes, pertenencia e historia, no podemos dejar de destacar que los últimos años el vodka se ha establecido como una de las bebidas por excelencia en todo el mundo. 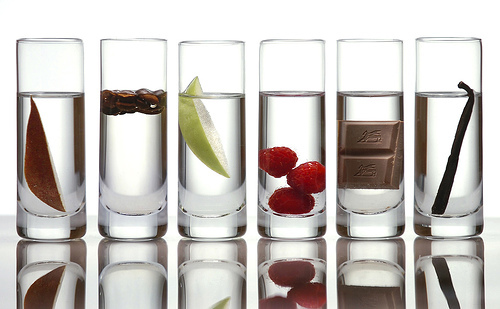 Y es que según muchos expertos y mixólogos, el vodka funge como un lienzo en blanco sobre el cual pueden realizarse un sinfín de mezclas y cocteles, además, claro está, de poder disfrutarse en las rocas. 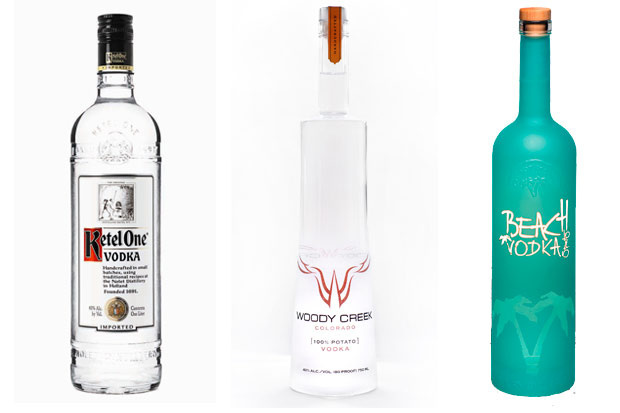 Es así como luego de presentarte los mejores whiskies del mundo, ha llegado el momento de dar a conocer nuestra selección de los vodkas más destacados del planeta. ¿Cuál es tu favorito? 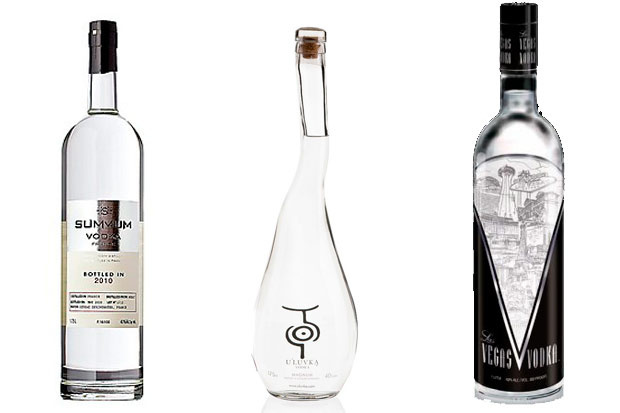 Esta etiqueta también tiene una doble medalla de oro por el San Francisco World Spirits Competition. Cuenta con la particularidad de cerrar su proceso de destilación pasando por un filtro de hielo que limpia cualquier impureza. Curiosamente se destila en el pueblo de Cognac, en Francia. Origen: Latvia / Estados Unidos.